Frankincense essential oil benefits include it's ability to reduce anxiety, increase immunity, decrease pain and severe inflammation, and help to fight some types of cancer. Essential oils have been used all over the world for their healing benefits for thousands of years. Over the last 20 years however, their popularity has grown significantly with the growing interest in natural cures for pain and illness. 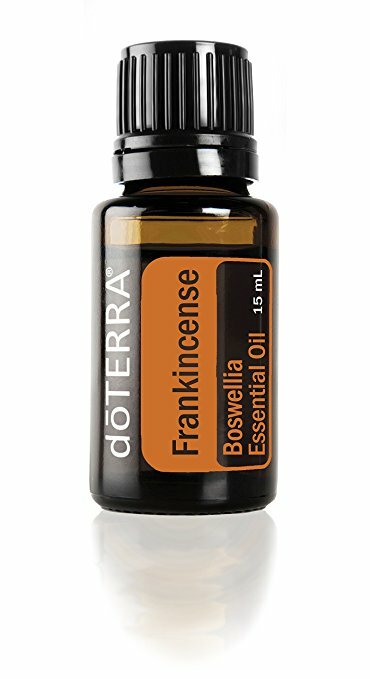 Frankincense oil is sourced from the resin of a tree called the Boswellia carterii that is commonly grown in Somalia. This tree grows in a very dry, hot climate. Found in many bible passages, this oil was often used in religious traditions associated with healing. It is most known for properties as an antiseptic, astringent, disinfectant, expectorant, digestive and sedative. 3. Used as a cleaner - this oil is an antiseptic, so it is great for every day household cleaning. Use to get rid of bacteria and virus from the home, disinfect, and deodorize by cleaning or diffusing. 4. Tooth Hygiene - as an antiseptic, this oil is perfect for cleaning teeth to help prevent cavities, bad breath and decay. It can be mixed with baking soda for a great toothpaste polish. 5. Cold Relief - use as a natural cold and flu aid to help relieve congestion and cough. It is great for those with asthma and chronic allergies, as it an anti-inflammatory oil, so it will make breathing easier. 6. Helps pain and inflammation - Perfect to relieve pain of arthritis and aching joints, muscle cramps, and digestive disorders. 8. Helps ease chemotherapy side-effects and may even help the body to fight cancer - many studies are being conducted on the ability of this oil to fight cancer cells, This is a link to one of those studies. 9. Helps to balance hormone levels for women during menstruation and during menopause. It helps relieve cramping, headaches, nausea and mood swings. 10. Helps Insomnia - acts as a natural sleep aid in helping to decrease anxiety and stress, and allowing the mind to fall into a restful state of deep sleep. Great used in a diffuser as you go to bed at night. Frankincense essential oil benefits offer so many healthy solutions for our bodies, it is no wonder that it was used so often in bible days!